The rapper came to his wife's rescue on the red carpet Monday night as they arrived at New York's annual high-fashion soiree. When Beyonce lost one of her rings - which is probably worth more than our lives - Jay Z stepped in and found the wandering piece of jewelry. He then staged a mock proposal for the cameras, bending down to slip the ring on his wife's finger. 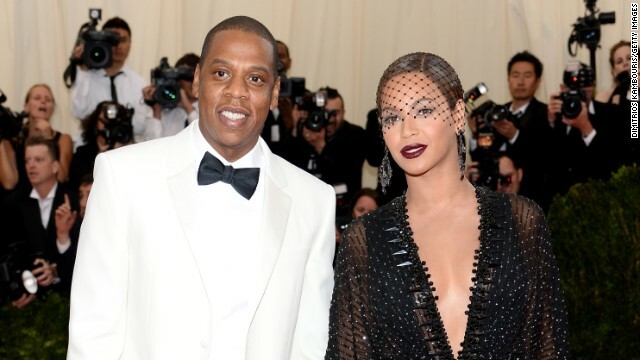 Jay must've known that he'd have stiff competition for the Night's Cutest Couple award, as there were plenty of enviable pairings on the red carpet. In one fell swoop, he sealed the deal. 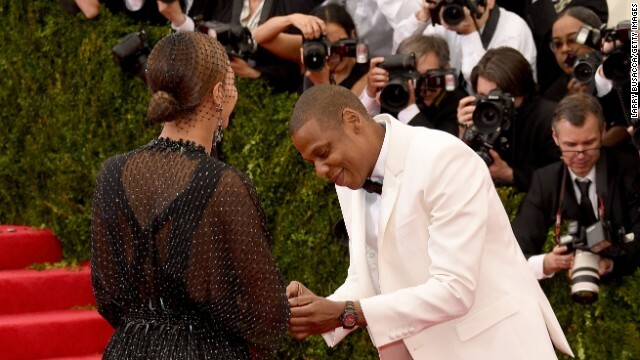 Bey held tight to her eagle-eyed partner (and, presumably, that ring) that night.